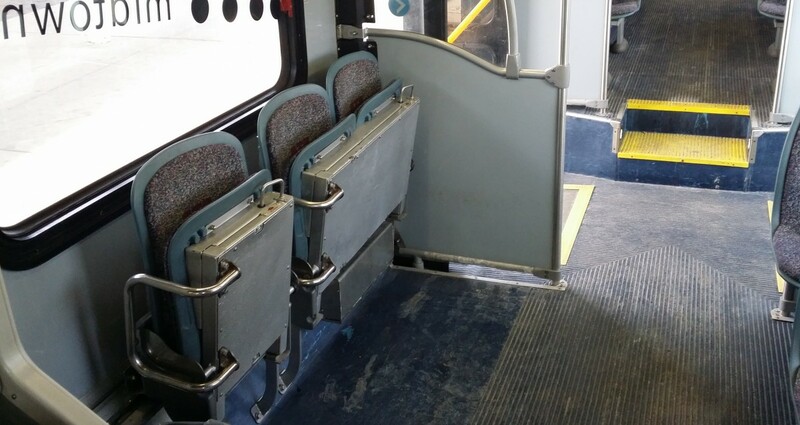 100 percent of RTA buses have racks that hold either 2 or 3 bikes. Signal the bus driver before boarding, and load your bike on the exterior racks. If the exterior rack is full, wait for the next bus. 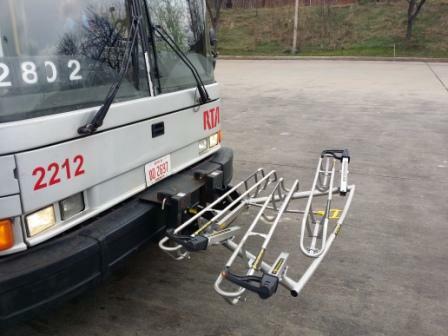 On Feb. 18, 2014, the RTA Board approved spending $250,000 to purchase 430 three-position bike racks. Squeeze the handle up to release the latch, then pull down the bike rack. It is not necessary to lean your bike against the bus. Lift your bike onto the bike rack, fitting wheels into proper wheel slots. Each wheel slot is clearly labeled for the front wheel. Raise the Support Arm over the front tire. The Support Arm’s number one purpose is to add lateral support for the bicycle when the bus is in motion or at rest. The rack must not be used without the Support Arm. Board the bus and enjoy the ride! Choose a seat near the front of the bus to keep an eye on your bike. DON’T FORGET you have a bike with you when you get off at your stop. Tell the bus driver that you will be getting your bike and have him give you a bike ticket. Inform the bus driver that you will be unloading your bike as you approach your stop. Hand the bus driver the bike ticket. Use the front door to exit the bus. Unload your bike from in front of the bus or from the curb, not from the street. If there are no other bikes on the bike rack, fold up the Bike Rack. The bike rack locks in place. In order to take your bike with you on the HealthLine, it must be carried on board. There is a designated area near the rear of the vehicle where you can store your bike. For safety reasons, you must remain with your bike at all times. If the area is already occupied, then you will have to wait for the next vehicle with available space. Bicycles are not permitted on Park-N-Ride buses. However, RTA offer convenient storage racks where you can lock your bike. Ride RTA service and pick your bike up when you get back. You may take your bike with you on the Rapid. Please store your bike at the end doors of the train only. You must remain with your bike at all times for safety reasons. 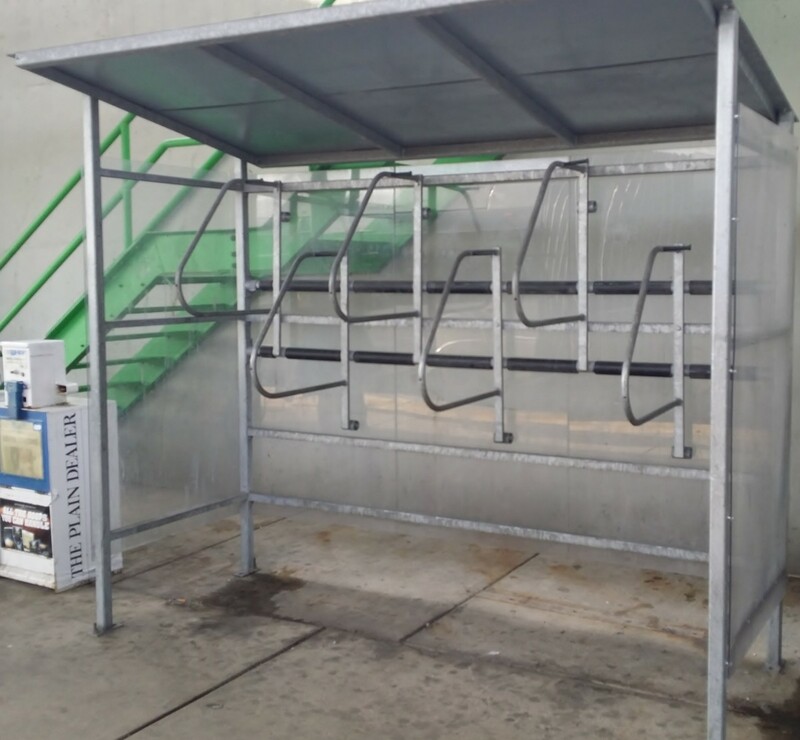 RTA also offers convenient storage racks, where you can lock your bike, ride our service, then pick it up when you get back. An adult must accompany anyone younger than age 18 with bicycles. Walk your bike inside all stations, and on all platforms. Only two bicycles are permitted per rail car, with space available on a first-come, first-served basis. Bikes are permitted on RTA trains, based on operator discretion. If the train is full, or if space at the end of the car is already taken by customers in wheelchairs, cyclists may be asked to wait for the next train. No tandems, recumbents, mopeds, or tricycles are permitted on RTA vehicles. Bicycles are not allowed on station escalators. Use the stairs and elevators only. Board the train after other passengers, and stay with your bicycle for the entire ride. Keep aisles and doorways open. Bikes must be securely held or tied in place. On the platform, keep your bicycle away from the edge at all times. Obey posted signs and instructions from authorized personnel, including Transit Police, Service Quality Management, Rail District operating and supervisory personnel and municipal police. Enter and leave by taking the elevator between the station level and Prospect Avenue level (3rd floor), using the Prospect Avenue doors to the left and right of the elevator. Bicycles are prohibited from all other areas of The Avenue at Tower City Center, including stairs, escalators and retail areas. Transfer between Blue, Green, Waterfront and Red Line Trains, using the faregates designated for wheelchairs. Bicycles may be locked outside in designated areas. For safety reasons, bicycles are not permitted inside terminal buildings. Make yourself visible to motorists and bus operators. Obey all traffic laws, including stoplights, signs, signals and lane markings. Signal when making a turn. Be careful near parked cars. Someone might suddenly open the door. 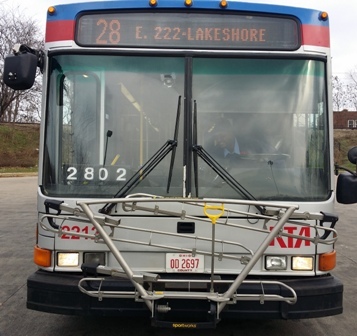 It is easy to bike around Cleveland and Cuyahoga County with RTA. Up to 50,000 people per year use RTA's Rack-N-Roll program. Bicycles are welcome on RTA's buses and trains year-round. Bikes ride free with any paying passenger! The Northeast Ohio Areawide Coordinating Agency (NOACA) provides printable PDFs of bikeway maps for all 8 counties of Northeast Ohio. Bikeway information is also available on NOACA's interactive GIS portal.